To use Warewolf’s batch packing feature to the full, you may wish to print goods out notes without going through the normal print preview stage to save time and unnecessary clicks. Warewolf works with may browsers and these are the Google Chrome settings for goods out auto printing. 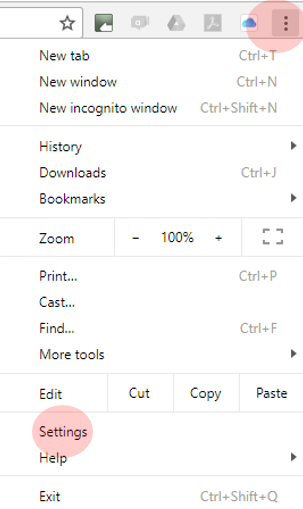 If you want Chrome settings for goods out auto printing in Warewolf but not for your other browser needs, create a Chrome desktop shortcut. The right click and rename it to ‘Google Auto Print’ or similar. In Chrome this is called ‘silent printing’ or ‘kiosk printing’. After creating the desktop shortcut, right click the shortcut and click ‘properties’. Note, there is a space after ” then two hyphens. Click apply then when you use this shortcut to Chrome, goods out notes will be sent directly to the default printer. Printing in Warewolf uses popups which may be disabled in your Chrome settings. Scroll down to the bottom of the screen and click ‘advanced’. Then under privacy and security, click content settings then popups. Change the setting to off. Then just below in the ‘allow’ section click ‘add’ type in [*. ]warewolf.co.uk then add. There are many support articles and videos out there. Try a Google search ‘Chrome silent printing’. The first symptom is often caused where a new / different printer has been connected. Chrome’s settings are still sending goods out packing notes to the old printer. The second may be because someone moved your printer or workstation. With Chrome in kiosk printing mode and auto print active, you have no opportunity to change the printer or printer driver.